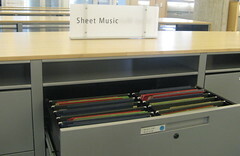 Less is more when it comes to music file organisations. Music files are best organised on hard disk with 'just enough' data to be navigated. This should normally just be the artist name and the album name. Meanwhile, extra meta data should be kept exclusively within music files in 'tags'. You can store data like genre, year, mood and record label here. But why shouldn't this data appear in the file and folder organisation? A lot of music metadata is not hierarchical by nature. I've discussed genre file organisation before. A given album or record on your hard disk can only have one parent, which may have one parent and so on. This is the nature of hierarchies. If you choose to use data where a given record can have multiple values, such as mood, genre or similar, it is not clear which value to use as a parent. If you do choose, you'll have to remember why and apply the same reasoning to every album you have. You'll then have to do exactly the same thing the next time you re-organise your library. I think this will inevitably fail at some point. Some metadata is liable to change. Album and artist names are unlikely to change once you've set them. Genre, mood and similar, on the other hand, are likely to change. They are subject to the whims in how you organise and enjoy your music. This is no bad thing, you shouldn't be restricted in how you organise your music, but if you do keep this information in your file hierarchy you must keep your tags and files in sync. This means, if you decide to change the genre of a particular album, you'll change the file organisation too. The more albums you do this for, the longer it takes and the more error prone it becomes. Thanks to MCL Abigail for the image above.